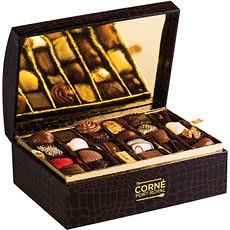 Traditional chocolatier Corné Port-Royal has been creating fine Belgian chocolates in Brussels since 1932. 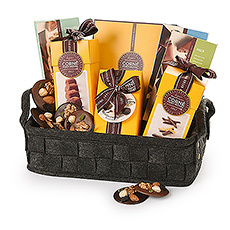 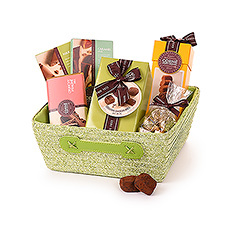 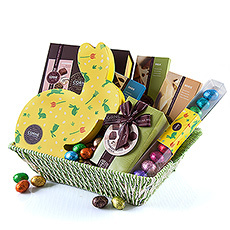 Send Belgian chocolate gifts to the Netherlands or choose one of our gorgeous chocolate gift hampers or gift boxes. 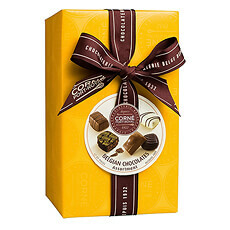 Corné Port-Royal Gourmet Chocolates have been a Belgian tradition since 1932. 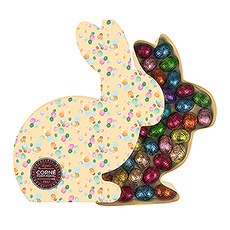 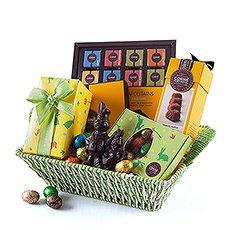 Corné Port-Royal has a time-honored heritage of using only the finest single-origin cocoa, authentic recipes, and skilled artisans to create their rich Belgian chocolate confections. 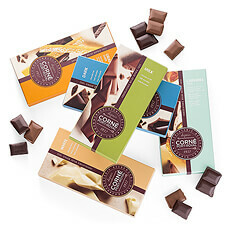 The Corné Port-Royal range includes something for all chocolate afficianados: pralines, truffles, mendiants, orangettes, and much more. 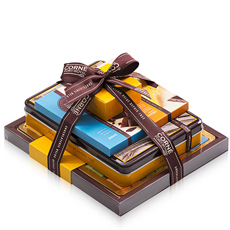 GiftsforEurope is pleased to offer an excellent selection of Corné Port-Royal Belgian chocolate gifts for delivery to the Netherlands. 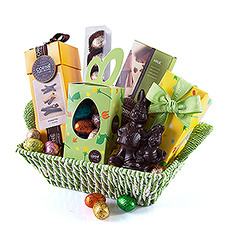 Express international delivery is available for Amsterdam, Rotterdam, the Hague, and Utrecht, and many other cities in the Netherlands/Holland. 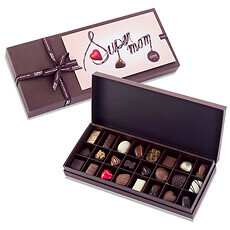 Saturday delivery is also now offered to the Netherlands. 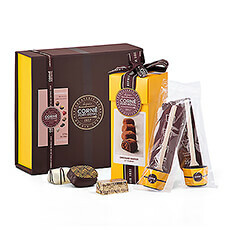 Every occasion in life is made better with Belgian chocolate gifts, and Corné Port-Royal has the perfect chocolate present for every one of them. 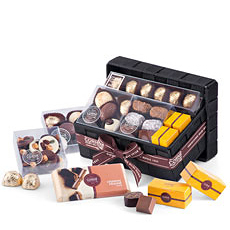 Choose from a glamorous jewel-box presentation case with assorted chocolates, stylish leather boxes, keepsake tin cases, Belgian chocolate towers, romantic heart shaped boxes, and the Ultimate Chocolate Hamper. 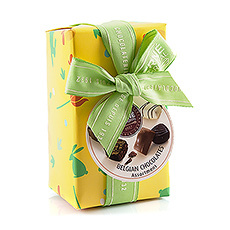 GiftsforEurope delivers the Belgian chocolate gifts you need to say congratulations, thank you, Happy Birthday, and Merry Christmas. 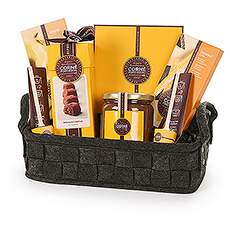 Our corporate gift specialists are available to assist with Corné Port-Royal business gifts that are sure to make the right impression on your VIP clients, colleagues, and business partners. 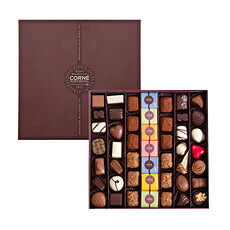 Since pâtissier Maurice Corné made his first praline in Brussels in 1932, an insistence on fresh ingredients of the finest quality has always been the Corné Port-Royal way. 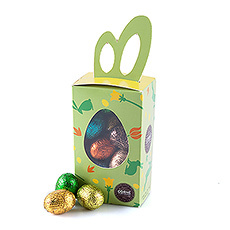 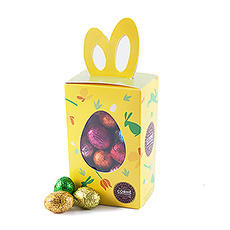 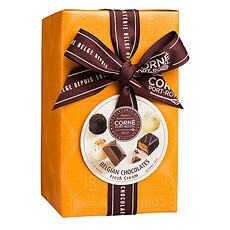 Today Corné Port-Royal Gourmet Belgian chocolates are created using only ethically sourced, sustainable cocoa. 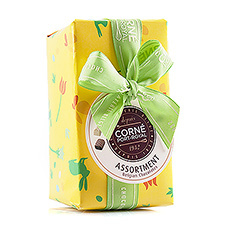 As members of the "Quality Cocoa for a Better Life" program, Corné Port-Royal helps improve the lives of the cocoa farmers. 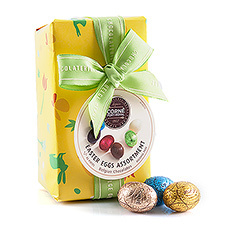 All ingredients are also guaranteed GMO-free, made with pure cocoa butter and dairy-fresh whole milk and butter. 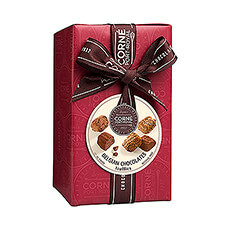 Experience the pleasure of Corné Port-Royal Belgian chocolate today!